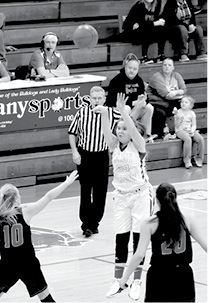 After more than a week off from games, the Clinton County Lady Bulldogs took to the hardwood floor Monday night as Wayne County came into town. The Lady Bulldogs struggled on offense early in the game and found itself in a hole that the team could never dig out of. 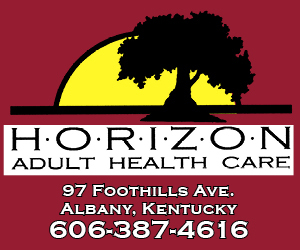 Clinton County lost the game by a final of 69-50. In the first quarter, it was Abbi Young keeping the Lady Dawgs in the game, hitting three three pointers in first quarter. At the 3:01 mark, Young hit her third and had nine of Clinton County’s 10 total points, to cut the lead to two, 12-10. Wayne County finished the quarter with an 11-0 run to lead, 23-10 at the end of one. At the start of the second quarter, Wayne County hit a free throw to move up by 14 points, but a field goal by Braylee Mann cut the lead to 12, 24-12, with 7:15 on the clock. Wayne County hit a three pointer to extend its lead once again, 27-12, but three seperate trips to the foul line with Rylee Stockton, Mann and Alexis Roberts all hitting only one of two, added three points and cut the lead back to 12, 27-15. From the 5:06 mark in the second quarter to halftime, Wayne County added 20 points to the scoreboard. Clinton County only managed to put up nine points, to trail at the half, 47-24. Young started the quarter with a three pointer, her fifth of a game total eight. She finished the quarter scoring seven of a total 10 points for the Lady Dawgs in the third. Mann added one free throw and Landree Moons added a basket with 38 seconds remaining. Clinton County finished the third quarter trailing, 60-34. As the final quarter got underway, Clinton County did manage to outscore Wayne County in the final period, 16-9, but the damage had already been done in the previous three quarters and Clinton County wasn’t able to rebound from that. Clinton County lost the game, 69-50, and move to 6-16 on the year. The Lady Dawgs hosted Warren Central Tuesday night, too late for press deadline, and will be at home on Saturday to host Logan County in the Robbie Davis Memorial Shootout. Saturday’s game begins at 3:30 p.m.
Abbi Young hit one of her game total eight three pointers during the first quarter against Wayne County, tying the school record. Young tied Paige Guffey’s performance against Pickett County on February 11, 2003. She finished the game with 29 points.